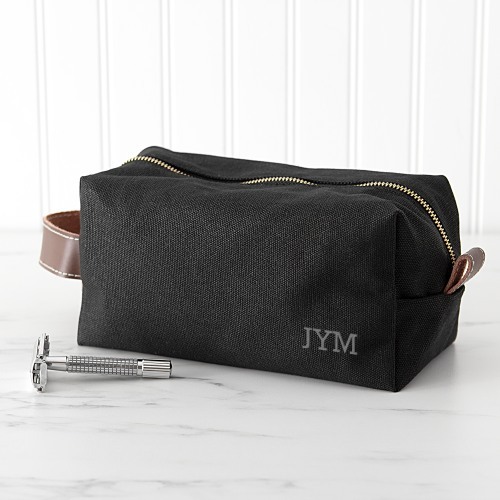 Perfect for vacations, business trips, and other travels, this personalized men's waxed canvas and leather toiletry bag will keep all his necessities handy. This bag features a water-resistant wax covering, a leather strap handle, a wide zipper opening and his personalization. Great as a groomsmen gift.